To request a FREE estimate, fill out the form below and someone will contact you shortly! List up to 3 date options. Thank you for your submission! If you’ve submitted this form Monday - Friday between 8am and 5pm, someone will be contacting you within the next 30 min. (unless otherwise noted on your form) to schedule your FREE estimate! Need financing? We’ve got you covered. You can get prequalified for a short term loan instantly without effecting your credit score! We accept Visa, MasterCard, Discover, American Express, Debit, & PayPal. 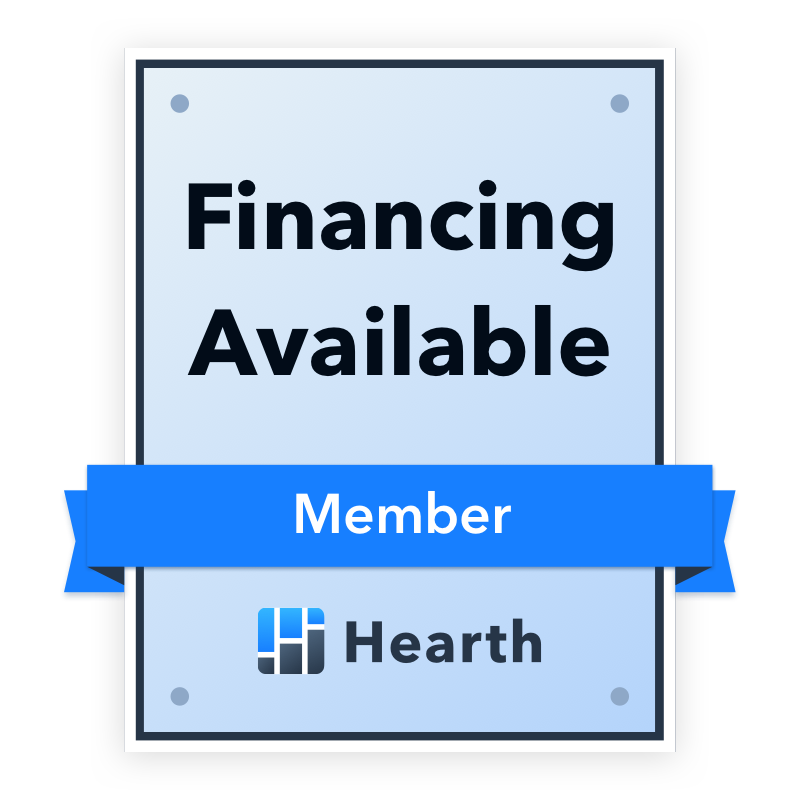 Financing also available through Hearth financial.